Reverend Dr. Andrew McDonald serves as the Transitional Pastor/Head of Staff at the House of Hope. 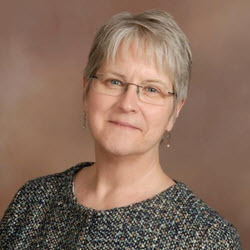 Dr. McDonald previously served as the Senior Pastor at Westminster Presbyterian Church in Lincoln, Nebraska, as well as pastorates in Chicago, Illinois, Peoria, Illinois and Nashville, Tennessee. 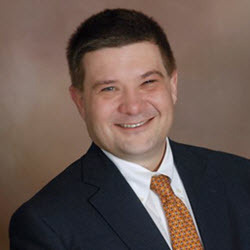 Andrew holds a Master of Divinity degree from Yale University, a Master of Arts degree from Vanderbilt University, and a Doctor of Ministry degree from McCormick Theological Seminary. He lectures frequently on topics in social ethics. His areas of special expertise are in adult education, leadership, and church revitalization. Besides reading, he enjoys hiking, lifting weights sporadically, golfing badly, and cycling with friends. Reverend Zachary Wilson serves as the Transitional Associate Pastor for Church Life and Adult Ministries. He has previously served in several churches in the Presbytery of the Twin Cities Area, primarily as an interim or transitional pastor. Most recently he was the Transitional Pastor of First Presbyterian Church of Hudson, Wisconsin. 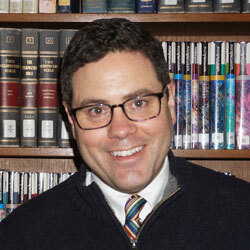 Zach earned his Master of Divinity Degree from Princeton Theological Seminary of Princeton, New Jersey and moved to Saint Paul when his wife, the Reverend Jennifer Rome, was assigned here by the Evangelical Lutheran Church in America. Jen currently serves at Pilgrim Lutheran Church. Jen and Zach have two daughters who attend Saint Paul Public Schools. He currently serves on the board of the Mid-Continent Oceanographic Institute. The Holy Spirit is moving at the House of Hope and Zach seeks to move with God’s Spirit to nurture the faithfulness and fruitfulness of the people of God. Aaron David Miller is a renowned organ improviser having won numerous international awards and given concerts across the country. Dr. Miller’s performances have been heard on Pipe Dreams and numerous television programs. His orchestra works have been performed by such ensembles as the Seattle Symphony, Chicago Symphony, Zurich Symphony, and numerous new music ensembles. His organ, choral and orchestra compositions are published by Augsburg Fortress, Paraclete Publishing, Morningstar Publications, and Oxford University Press. Dr. Miller was the featured artist at the National AGO convention held in Houston, TX of 2016. In addition to many performance prizes, Dr. Miller was recipient of the 2004 Hellenikon Idyllion Prize for Composition, Athens, Greece. 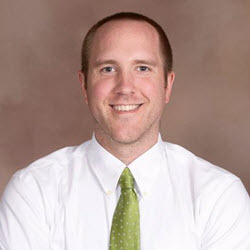 Dr. Matthew Culloton is the Choirmaster at House of Hope Presbyterian Church in St. Paul. He is also the Founding Artistic Director of The Singers, a 40-voice professional choir based in the Twin Cities. He holds degrees from Concordia College (B.M) and the University of Minnesota (M.M. & D.M.A.). 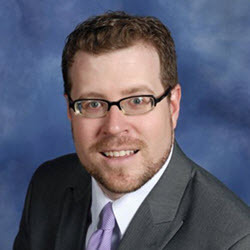 Matthew is an adjunct faculty member at the University of Saint Thomas and conducted the University of Minnesota Women’s Chorus from 2008-2011. In 2004, he received the MN ACDA Outstanding Young Choral Conductor of the Year Award. In 2003, he received the VocalEssence/ACDA of Minnesota Creative Programming Award. As a composer, Matthew has been commissioned to compose for the Dale Warland Singers, Choral Arts Ensemble of Rochester, and the MMEA All-State Choir. He is editor of the “Christmas with The Singers Choral Series” published by MorningStar Music Publishers and co-editor of the “Matthew and Michael Culloton Choral Series” with Santa Barbara Publishing Company. 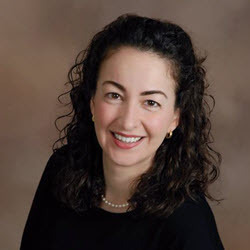 Sofia Ardalan, Director, House of Hope Choir School, oversees the five ensembles of the Choir School program, and conducts three of the choirs. She has lead the Choir School in performances of several large choral works including Vivaldi’s Gloria, Galuppi’s Dixit Dominusand Cantata BWV 4 by JS Bach. A member of the National Association of Teachers of Singing, Ms. Ardalan is dedicated to the idea that all children can, and should sing. Dave Johnson was appointed carillonneur in 1993. He is active in The Guild of Carillonneurs in North America and has performed recitals throughout the United States. He was an elected member of The Guild’s board of directors from 1999 to 2005, was again elected in 2010, has served on various committees, was its recording secretary for ten years, and in June 2010 was elected its president. Dave received his B.A. from Hamline University, M.A. from Stanford University and Ph.D. in American Intellectual History from the University of Kansas. 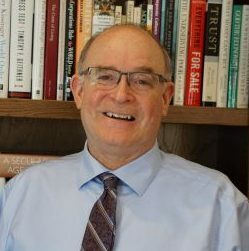 He is the author of two histories of Hamline, a 150th anniversary history of House of Hope and a 50th anniversary history of Presbyterian Homes and Services of Minnesota. He taught history at Kansas Wesleyan University, the University of Kansas and Pacific Lutheran University. Kiera Stegall has served children and families in a variety of teaching and ministry roles since 2003, including in churches programmatically similar to House of Hope. She holds a Master of Divinity degree from Candler School of Theology in Atlanta, Georgia as well as a Bachelor’s degree in Church Ministries, Bible, and Children’s Ministries. 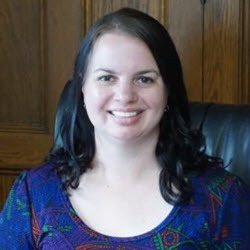 She enjoys exploring Scripture with children, as they learn to be responsible interpreters of these narratives, and she creates opportunities for children and families to partner in seeking social justice, as they learn that their call to action stems from their faith. Ms. Stegall enjoys storytelling and most recently has been part of a team of teaching artists at Stepping Stone Theater to help children bring stories to life on stage. Doug Snaza is the Director of Youth Ministry at House of Hope. He has served in various capacities with Camp Clearwater Forest, moving from the role of a counselor to being the Program Director. He started the Camp-in-a-Van program, and has been a wonderful presence at so many of the middle school fall retreats and the winter snow camps. 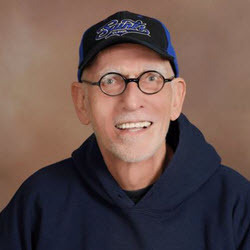 He is a lifelong Presbyterian, having grown up at North Como Presbyterian Church, and attended trips and programs with House of Hope when he was attending Central High School. Previously Doug was the Director of Christian Education at The Federated Church of Fergus Falls, Minnesota, where he has led the youth, overseen Sunday School, trained teachers, led mission trips, and immersed himself in the community—from coaching gymnastics to playing soccer to teaching chess at the library.